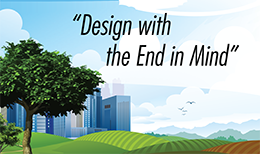 E-design™ Strategic landscape plan that is both economically and environmentally sound. Combining sophisticated land use analysis with plant life cycle data, creates a customized design. You can expect a deliverable that requires less time and fewer natural resources. We Are Here to Protect People, Clients and Cash! Protecting people with dedication, respect and honesty! These values are the foundation for our servant leadership style. Protecting our clients through EDL’s purpose in providing leadership, while helping our clients avoid unpredictable cost and liabilities within the asset. Protecting Cash enables us to be competitive in the market place with employees and customers.